Assiette Champenoise, also known as Château de la Muire, is a family run hotel in Tinqueux; a small suburb just a short drive from Reims City Centre. 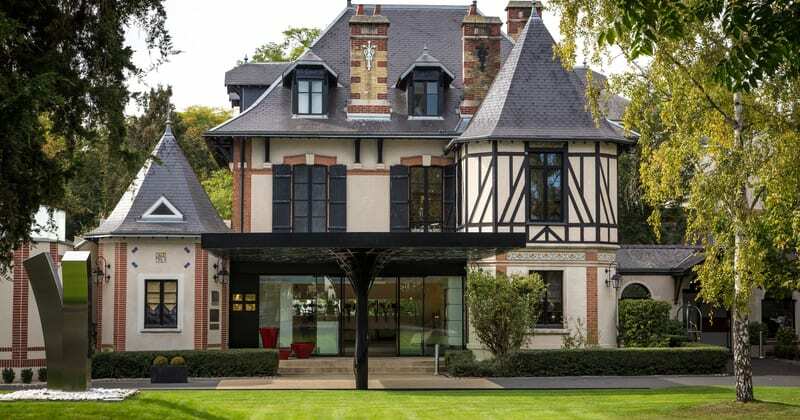 This 5*Hotel has an excellent range of quality facilities, including an acclaimed restaurant, fronted by renowned chef Arnaud Lallement, holding three Michelin stars. 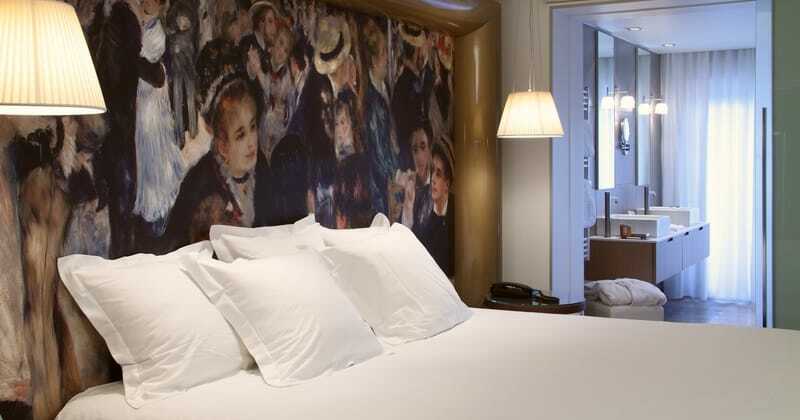 Recently refurbished in an art-deco style, the hotel’s ambiance oozes luxury and immaculate class. 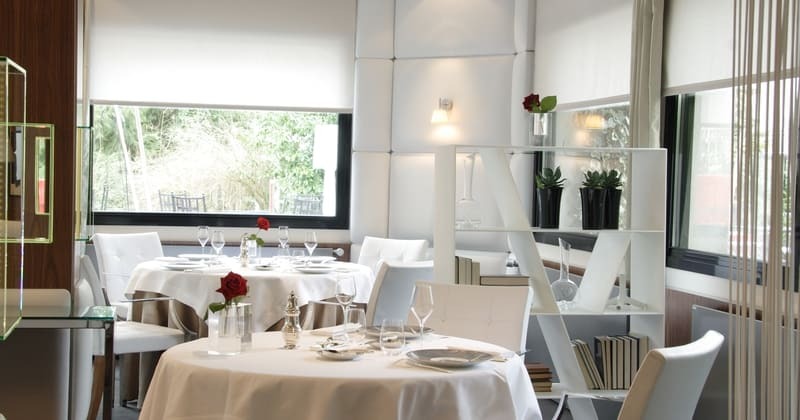 L’Assiette Champenoise sits in a suburban location, just 5 minutes by car from the Centre of Reims. We recommend this hotel particularly for families or people that prefer a peaceful getaway. The 19th Century, half timbered house, set in 4 acres of parkland is an ideal tranquil setting. The Hotel offers all of the facilities you would expect from this grade of accommodation. An indoor swimming pool and sauna complement the relaxing atmosphere. The newly refurbished bar, with an impressive wine list notable for its range and quality, and a quaint terrace overlooking the park. The icing on the cake is the restaurant, boasting two Michelin stars awarded for the gastronomic inventiveness of Arnaud Lallement. We strongly recommend that those wishing to dine in the restaurant book in advance, as you are unlikely to get a table without pre-booking. The restaurant is closed on Tuesdays and Wednesday lunchtimes. 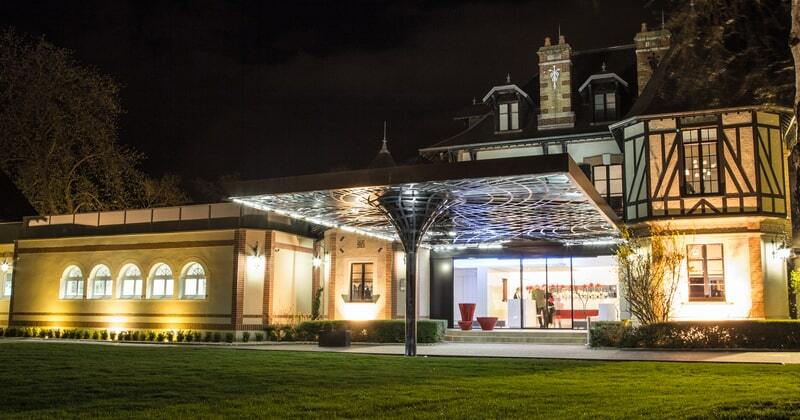 L’Assiette Champenoise offers a range of very large rooms and suites from 50 – 80 m2. 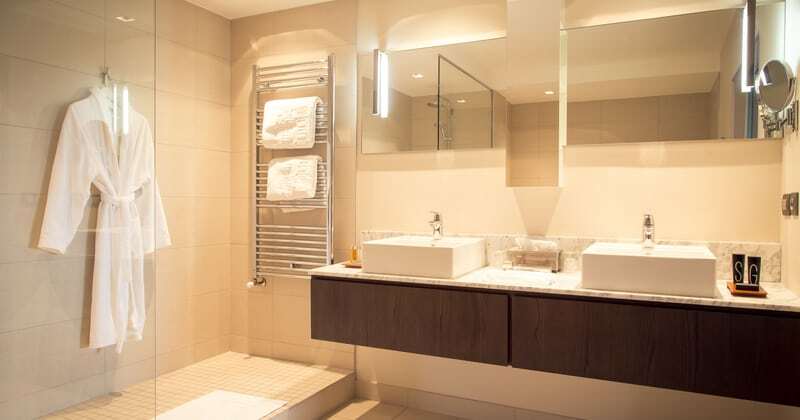 Each room has a bathroom and W/C, minibar, television and telephone and the largest suites also have private 2 person Jacuzzis in the bath room.